In modern engineering designs, professionals pursue even lighter, more economic and efficient products to stand a chance in the fierce competition with new technologies and materials to be invented and discovered every minute, at the same time they also need to consider sustainability to be environmental friendly. While selecting lighter materials and make products thinner for use, the safety of the products is compromised as long as the required strength is maintained, otherwise, increasing in weight and size of the product which is opposite the industrial trends will lead to market failure and its economic feasibility is impaired. Therefore, in order to balance the harmony between safety and economics, it is essential to know the stress in each part of the material for product structure design, however, at the present scientific and technological level, it is not yet possible to measure the internal stress of the material directly rather than measuring the strain on the surface of the material where stain gauges are most commonly used as the sensing element that can be either applied independently or integrated in many types of sensors, e.g. 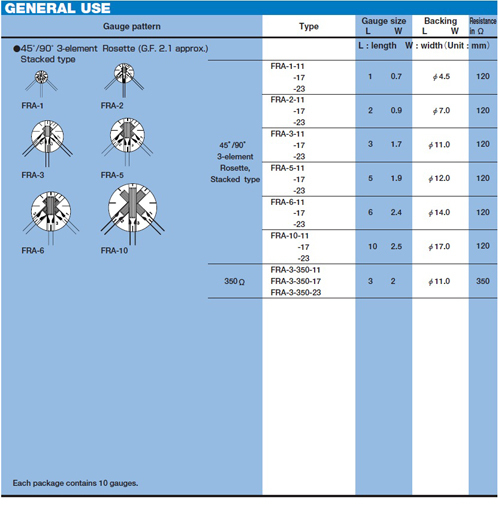 position sensors, pressure transducers, load cells, torque transmitters, etc. Different strain gauge patterns enable measurement of tension, compression and shear forces. The universal strain gauges for general purposes and stress concentration measurement are grid-shaped metallic resistive foil type, which is available in a wide range of grid shapes and gauge sizes to suit a variety of applications. 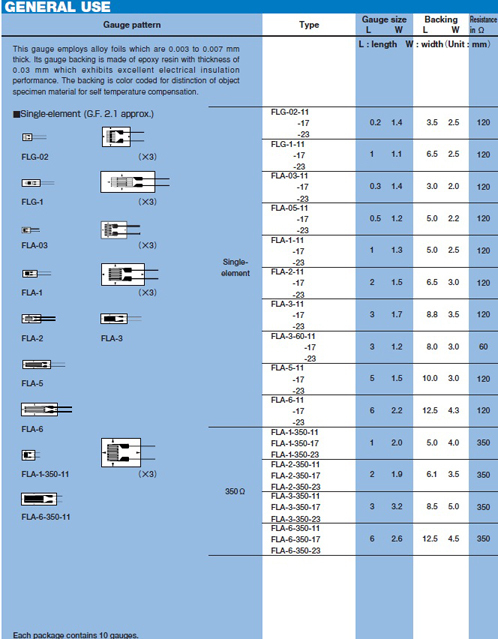 TML strain gauges are widely used for physical force measurements in mechanical, marine, aircraft and civil engineering as well as the fields of architecture, automotive and medical science. 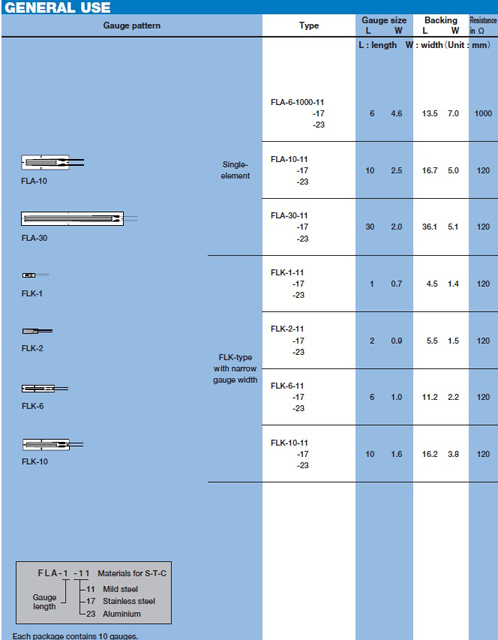 Note: Each strain gauge has its limitations in temperature/ humidity, fatigue, the amount of strain, material under test and the measurement environment. 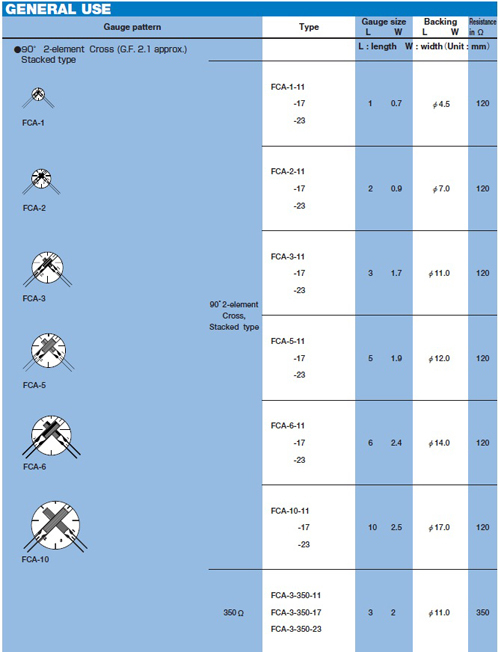 These factors must be examined before a strain gauge is selected. Operational Temperature -20? to +80? 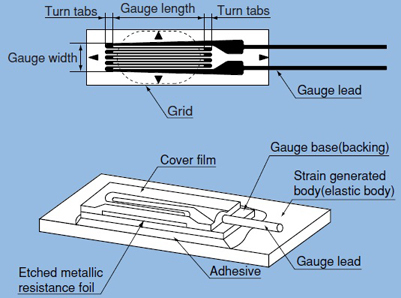 When strain is generated in a test specimen and a strain gauge is tightly bonded, the strain is relayed via the gauge base (electrical insulation backing material) to the etched metallic resistance foil pattern causing mechanical extension or shortening. As a result, alloy foil experiencesa variation in electrical resistance. This resistance of the foil change is in a defined way proportionally to the strain. The Gauge FactorK differs from metallic materials. TML strain gauges are field-proven products that meet the highest standards of quality, accuracy and performance in the industry. Satisfy the requirements of customers ranging from research facilities to civil engineering as well as construction companies. Meanwhile, a wide variety of strain measurement accessories to complete strain gauge applications is available for selection. Please complete the enquiry form below for specific information and advice on General Foil Strain Gauges.